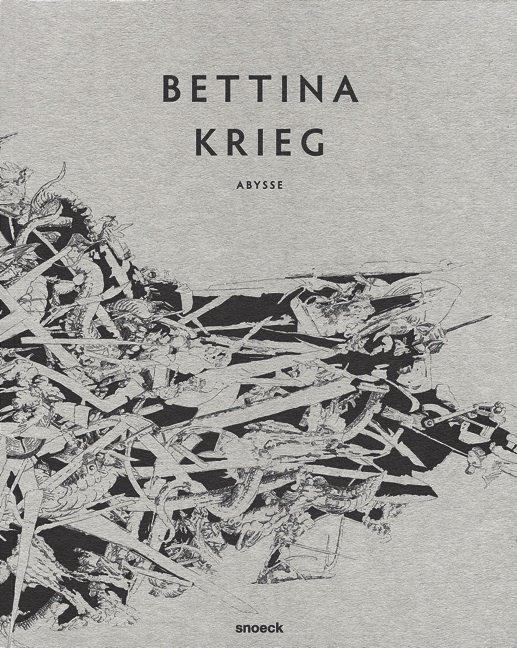 With her first publication Bettina Krieg thrusts herself into the ­modern world of myriad images, ­initially simplifying them by break­ing her representation down into black and white pen-and-ink drawings. However, both in her large compositions as well as her installations, one is very quickly drawn into the excessive detail out of which she arranges the myriad individual elements into en­twined skeins. And yet it would seem that the inclination of these surprising and physically impressive con­glomer­ates is invariably oriented ­towards a higher order. Then suddenly a few pictures break free, ­issuing forth onto the floor of the ex­hibition space or cover chairs and other objects in the room.